Merry Christmas to everyone who celebrates it! Thais are mostly Buddhist (with some Muslims down here in the South) and don’t celebrate Christmas. 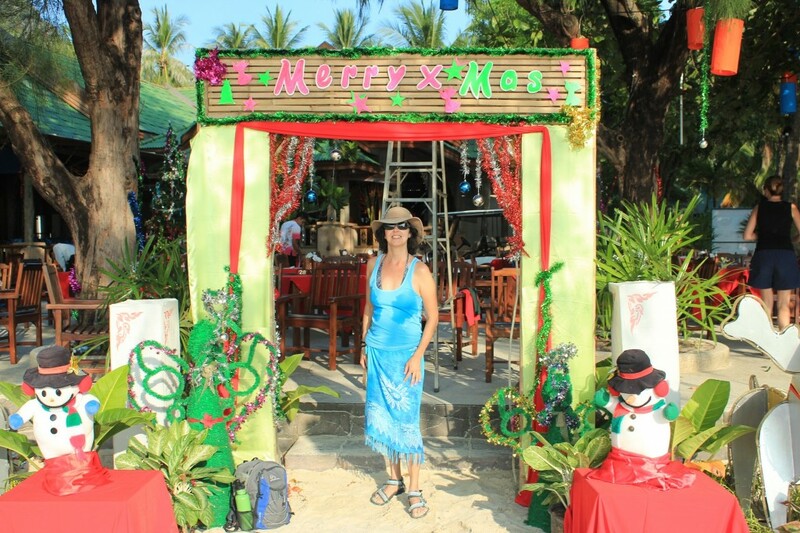 However, in deference to their tourist customers, some hotels and restaurants have put up a few decorations. 🙂 As for the tourists, a few of them were walking around with red toques on Christmas Eve: quite a sight, especially when paired with beach attire! 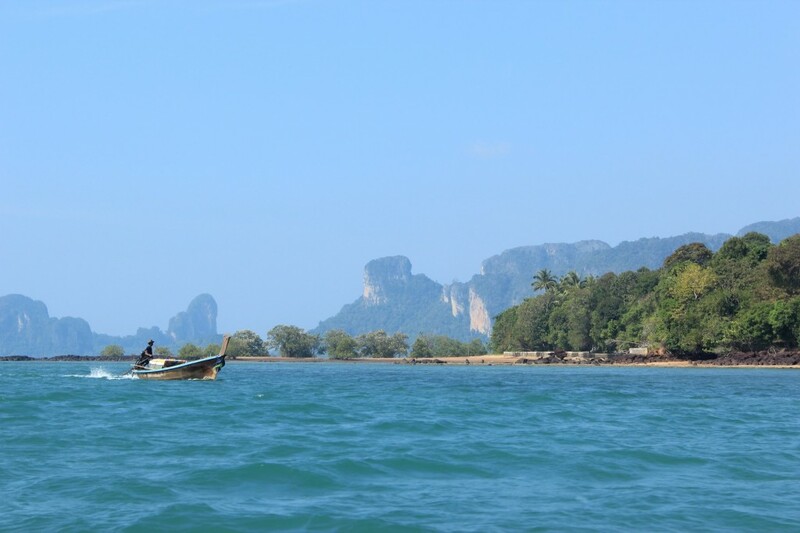 I arrived in Krabi town on Monday morning, on a 2-hour ferry ride from Ko Lanta. Krabi has an airport from where I will be flying back to Bangkok tomorrow, and from there to my next destination: Yangon in Burma. Due to the continuing protests and unrest in Bangkok, I am not spending any more time there, just transiting at Don Muang airport. 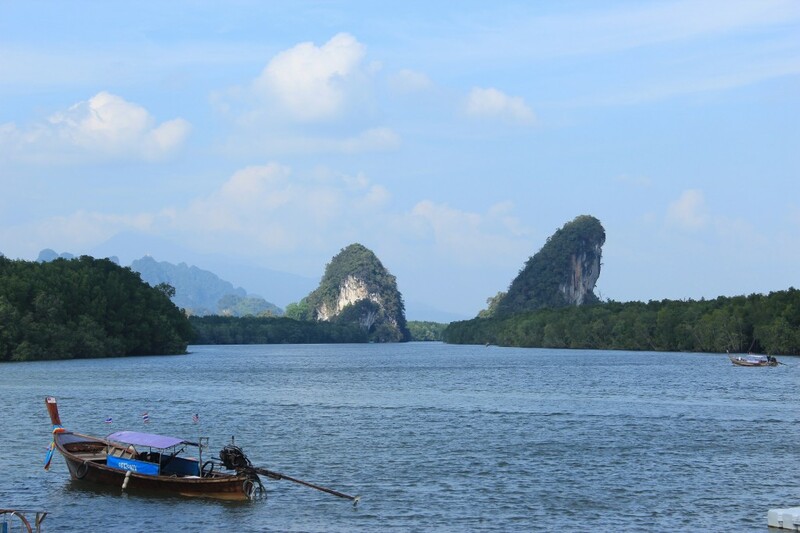 Krabi is a fine little town,with many services geared to foreigners: currency exchange, transportation bookings, you name it. (I’m having a hard-time re-supplying myself with 2-in-1 shampoo and conditionner and sunscreen without parabens and oxybenzone though.) 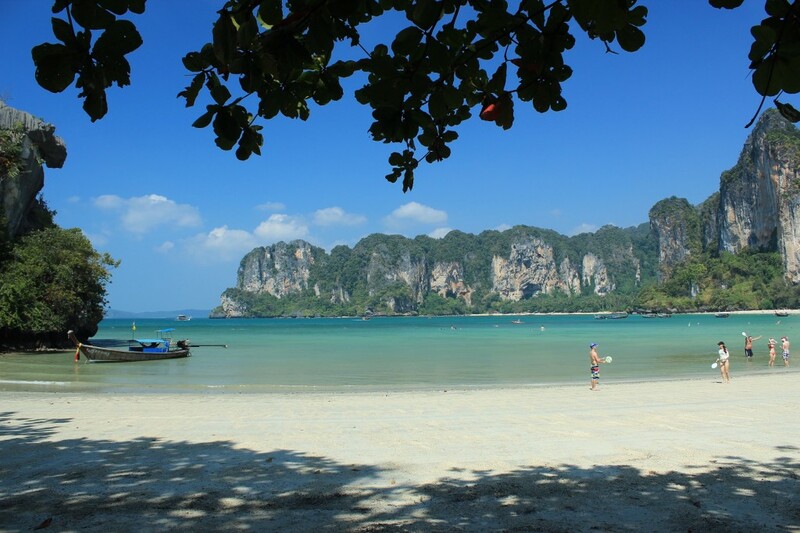 As the gateway to the most popular Andaman beaches and islands, most travellers to the South pass through here for a day or so. 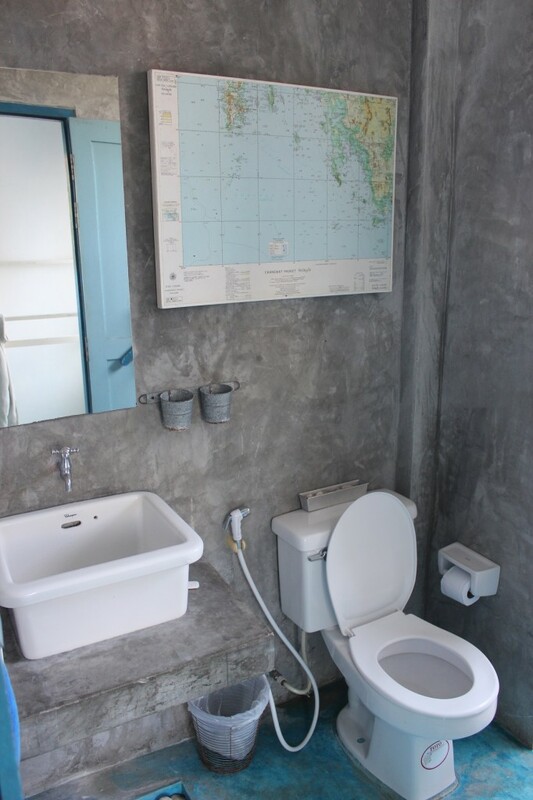 Yes, it does have some traffic and is a bit smelly, but the prices are also much lower than on the islands. 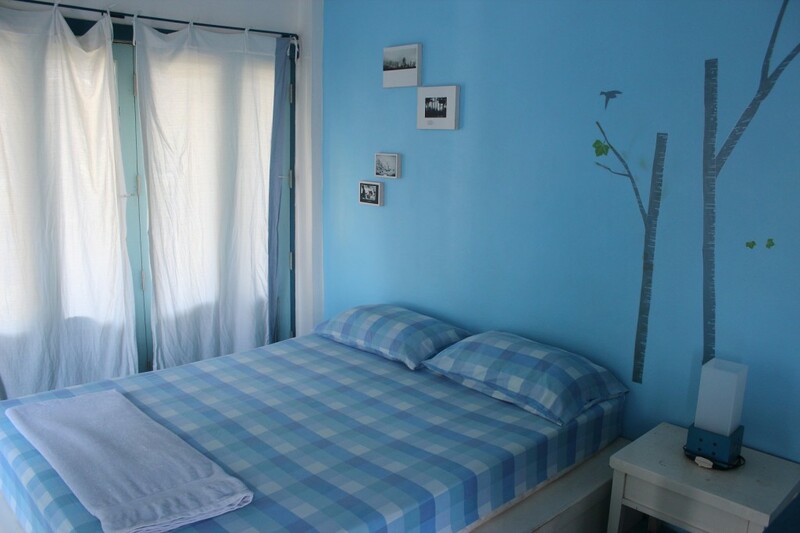 My current guesthouse Chan Cha Lay (a top pick in the the Lonely Planet guidebook) has cute blue and white rooms, with semi-outdoor showers (cold water only) and fan for 500 Bahts. This is why I left my 1200 Bahts bungalow on Long Beach a bit early and am shacking here for three nights (“a long time” according to my taxi driver). 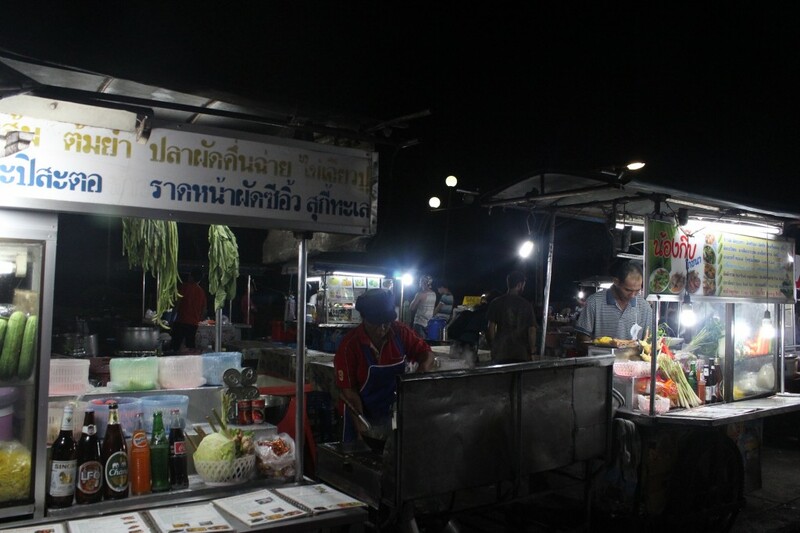 Food prices are also cheaper, especially if you dine at the Night Market that sets up near the waterfront every night. 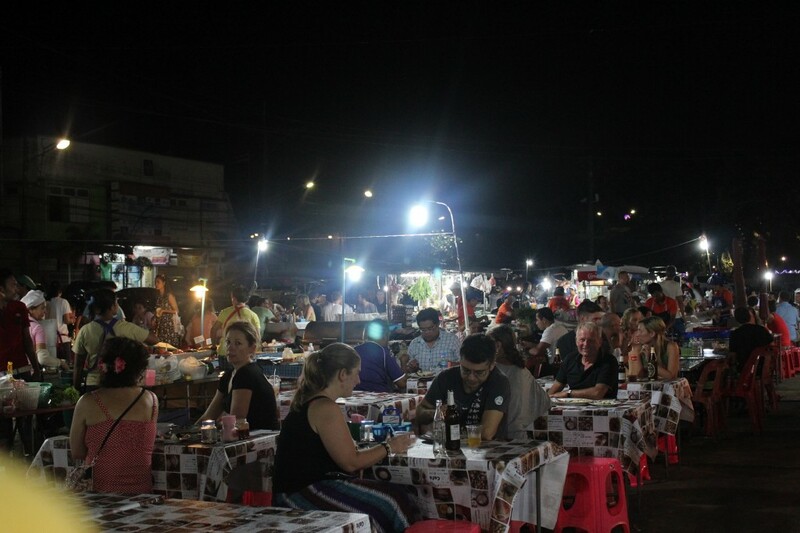 Last night I had a beer and a small serving of stir-fried pork with vegetables and rice for 90 Bahts ($3). I also came across something called “coconut pancakes”: small spherical caps of dough filled with a delicious coconut custard and served warm with a side of sugar for dipping. Delicious! And after a couple of failed attempts, I’ve finally found a restaurant that makes good cappuccinos. Again, many places that advertise cappuccinos make coffees that look like cappuccinos but taste like dish water (or worse: Nescafe with frothy milk on top). I even had “brown bread” with breakfast. This is the first place in Thailand where I see brown bread! 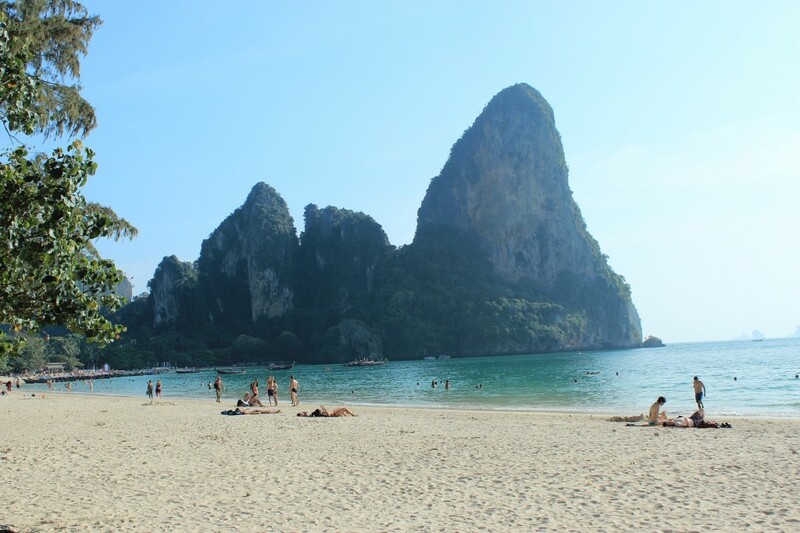 Yesterday I took a day trip to Railay. 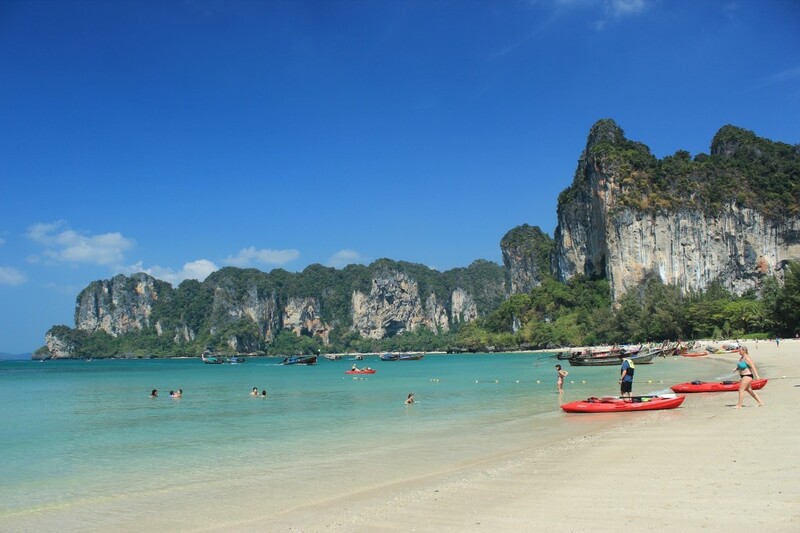 A 30-minute (150 Bahts) long-tail boat ride from Krabi, Railay’s West beach has a superb setting: a crescent of pale sand edged by huge limestone outcrops. It’s actually a well-know destination for rock climbers. Unfortunately the beach itself has been ruined by over-development. There are way too many people milling around, throwing garbage in the sand. You feel like you’re in a shopping mall. The hotels are expensive, and restaurant staff is surly. Two or three long-tail boats bobbing near a beach are picturesque, but thirty of them lined up on the beach equivalent of a parking lot is awful. Basically, I was sad to see such a beautiful setting marred by greed. Coming up onto this beach, if it was deserted, would feel like paradise. I wonder if such places still exist untouched? Trying to find a shady spot on the sand, I ended up squeezed between a family with babies, and some workers putting up some kind of stage. I almost got hit on the head by a 6-metre high bamboo pole when it fell down within inches of me! Aye! Coming back to Thailand 17 years after my last visit has been a bit of a shock. Some things haven’t changed (the Thais’ poor English skills) but the feel of the country is vastly different. I know I have probably changed as a traveller, but I don’t remember so many people travelling with children in the old days. 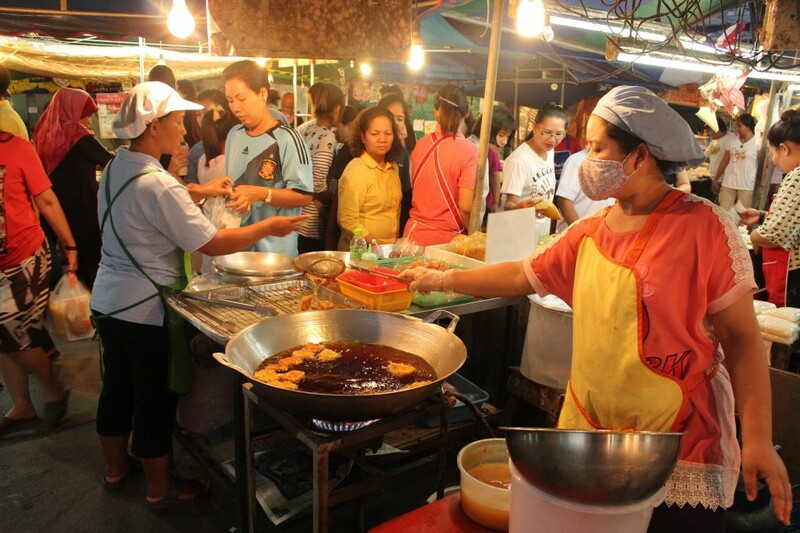 Thais have always catered to tourists and developed locations according to tourist demand. Even in the 90’s there was some concern that some of the islands were being developed too fast without a long-term concern for the environment. Well, they’ve really done it now: some of their most beautiful beaches are starting to turn into garbage dumps. 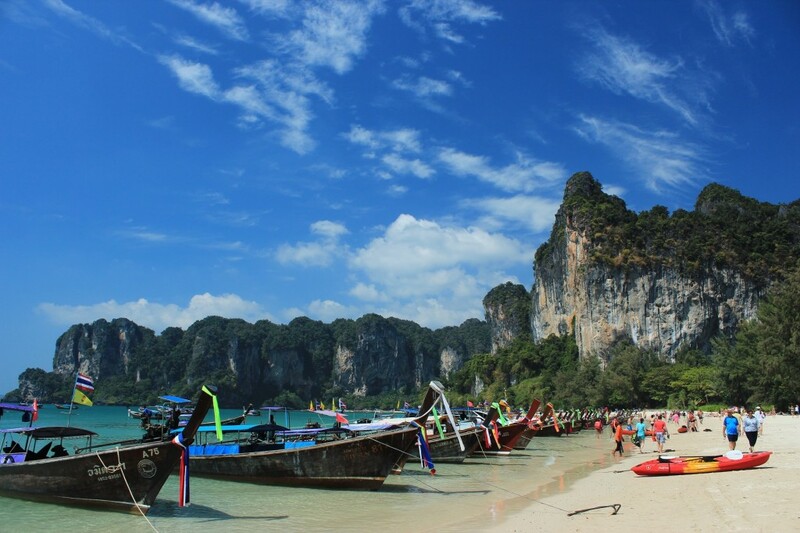 Thailand is selling out to tourists and losing its soul. I’m also not sure where the expression “The land of smiles” came from. So far, many of the Thais I’ve seen don’t smile at all (sick of all those tourists may be?). And the ones that do don’t seem more smiley to me than Cambodians or Mexicans. I don’t know if the North will be different. Unless the political situation really deteriorates, I’m planning to spend some time in Chiang Rai when I return from Burma at the end of January. Today I’m having my laundry done and preparing to travel to Burma tomorrow. After bumming around beaches and taking it easy for the last few weeks, things are about to get a lot more challenging. Already I tried to reconfirm my booking at the guesthouse in Yangon (which I booked way back on November 2) to be told they don’t have my booking. Somebody forgot to write it down. Great. I’m arriving in Yangon late in the evening in 34 hours and I don’t have a room! I guess I have my work cut out for me today. 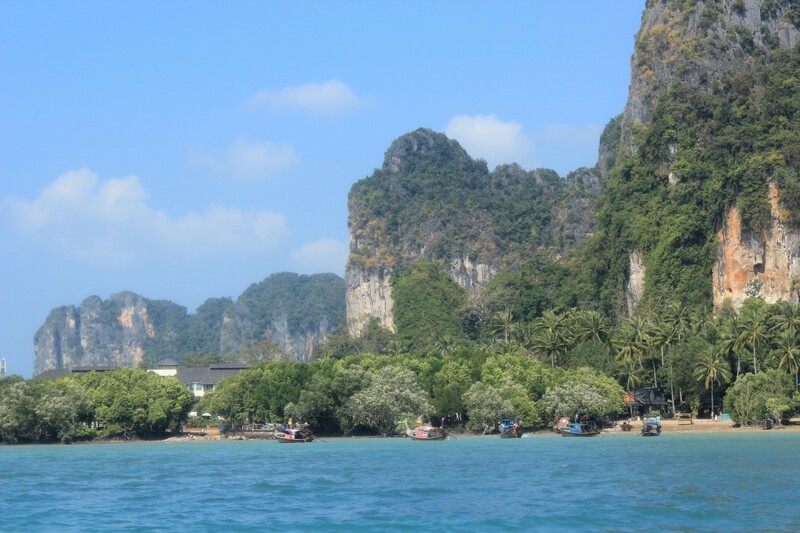 I have enjoyed reading your blogs about Thailand and the beaches and learning a lot from them. 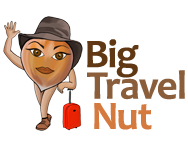 South East Asia is fast becoming a popular travel destination these days so that is the reason for all these issues. However, it is still beautiful all the same. Good luck with Burma. 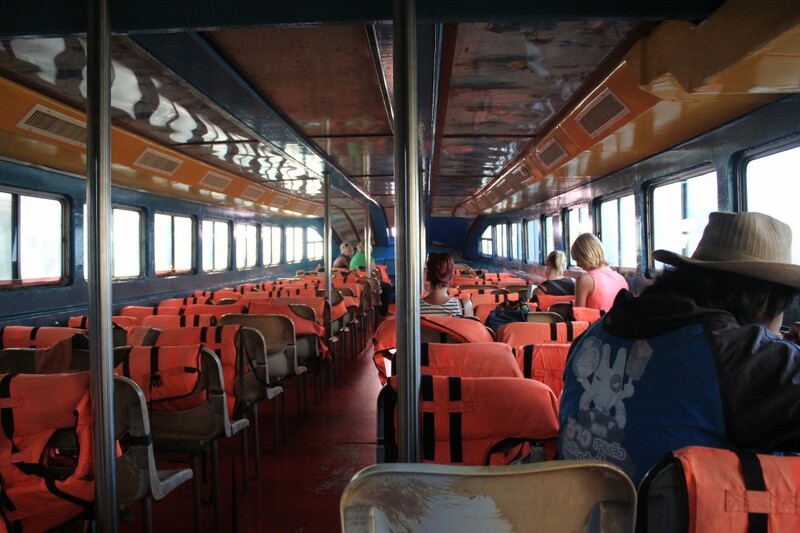 Hi Chuo, I booked Chan Cha Lay by phone while I was still on Ko Lanta. If you call during the day (9 am to 3 pm) you should get the woman who speaks good English. 🙂 It’s a popular place, so it’s worth booking in advance.